Bartlett, Loop, Fortson, Walker, and Other Families - Lula Fortson Queen and Tom Queen, standing at right. Taken at Eddy Hotel (probably in Hot Springs, Ark.) 26 May 1901. Lula Fortson Queen and Tom Queen, standing at right. 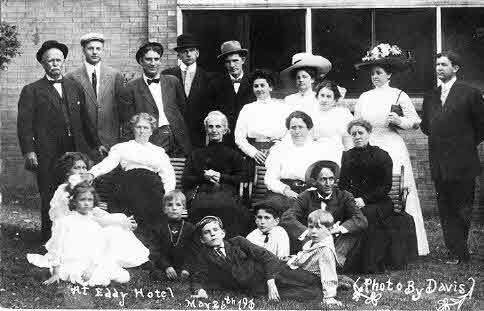 Taken at Eddy Hotel (probably in Hot Springs, Ark.) 26 May 1901.